Greg Macpherson, CEO of MitoQ, developer of the first antioxidant formula able to penetrate mitochrondria joins eHealth Radio and the Anti-Aging & Health News Channels. What are mitochondria and when and why do they start to decline in function? This decline is intricately linked to the aging process and gets progressively worse, what are the visible and non-visible signs? Why is having lots of healthy functioning mitochrondria important to overall health? Researchers have linked over 200 health conditions to mitochondrial dysfunction. What are some of these conditions and how do the MitoQ supplements work to ease the symptoms? MitoQ also has developed a skin serum. How does that work and what are the results? Greg Macpherson is Chief Executive Officer of MitoQ Ltd. He completed a Bachelor of Pharmacy at University of Otago School of Medicine in 1992. Subsequently he has been owner and director of a number of start up businesses that include New Zealand’s largest residential care services pharmacy, NZ’s first robotic dispensing laboratory, a pharmaceutical wholesaling company and a software development company. He has been a partner and board member of a pharmacy chain associated with one of NZ’s leading retailers. 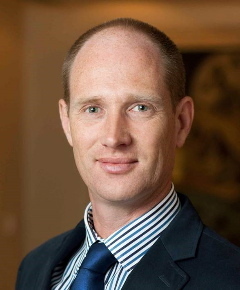 Currently he is a shareholder and director of Pharmacy Direct, NZ’s leading online pharmacy and is CEO at MitoQ Ltd.